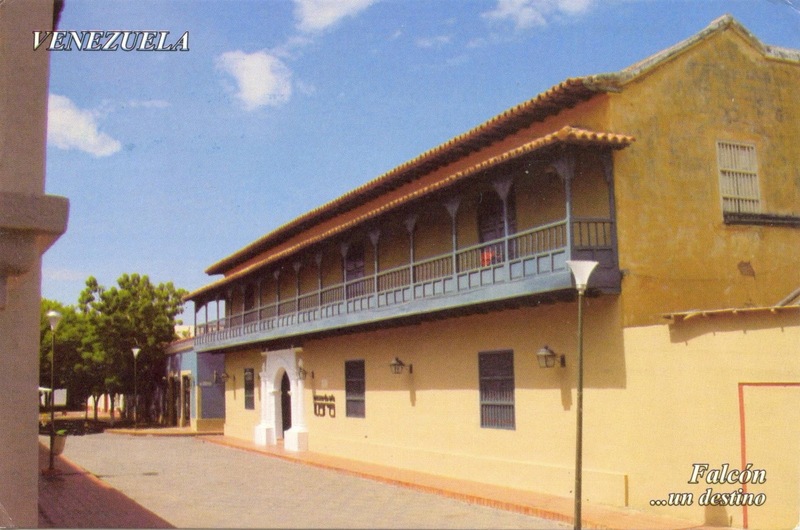 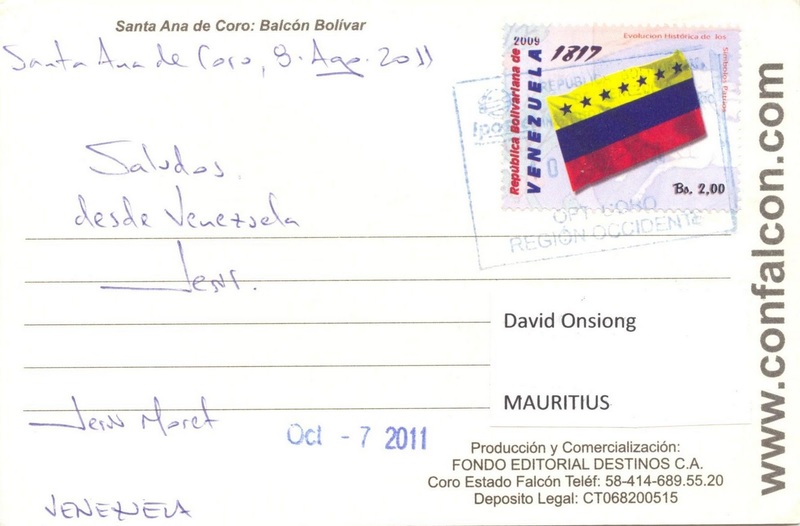 Thanks Jesùs for this card showing Santa Ana de Coro, the capital of the Falcón State and the oldest city in the west of Venezuela. The city was appointed as a World Heritage Site by the UNESCO in 1993, thus becoming the first site to Venezuela to be vested with this title. 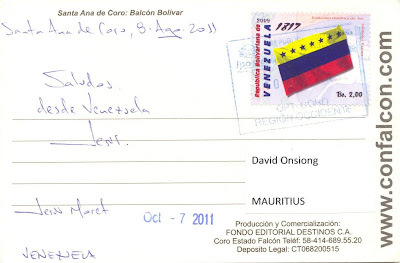 Jesùs franked his card with another stamp from the Historical Evolution of National Symbols set.